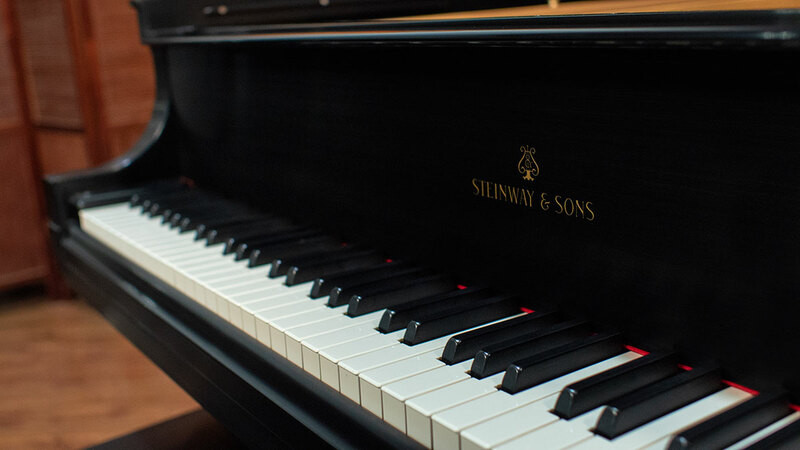 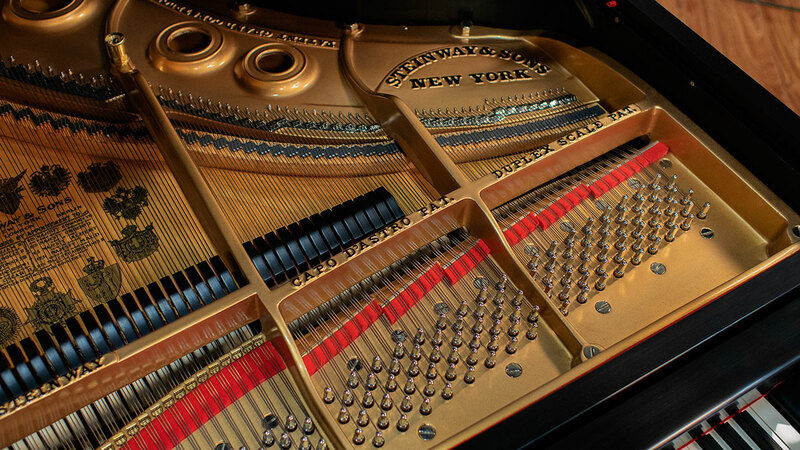 This is a beautifully restored, vintage Steinway Model L from the Golden Era of piano building in America. 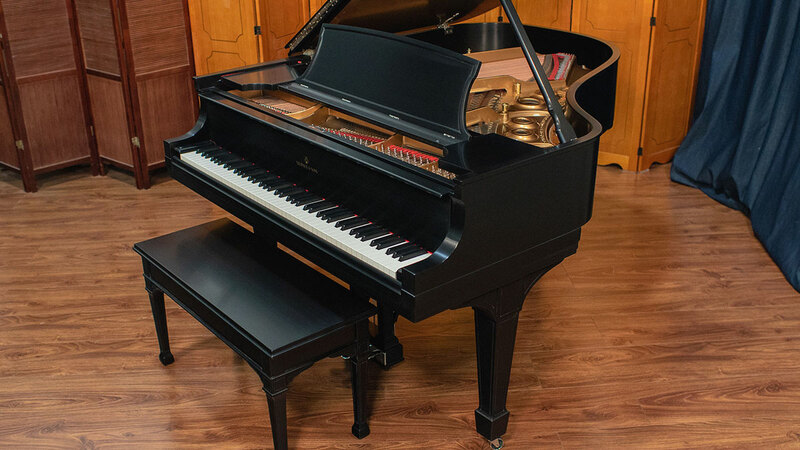 The model L is no longer manufactured in New York or Hamburg factories; so these pianos are increasingly rare. 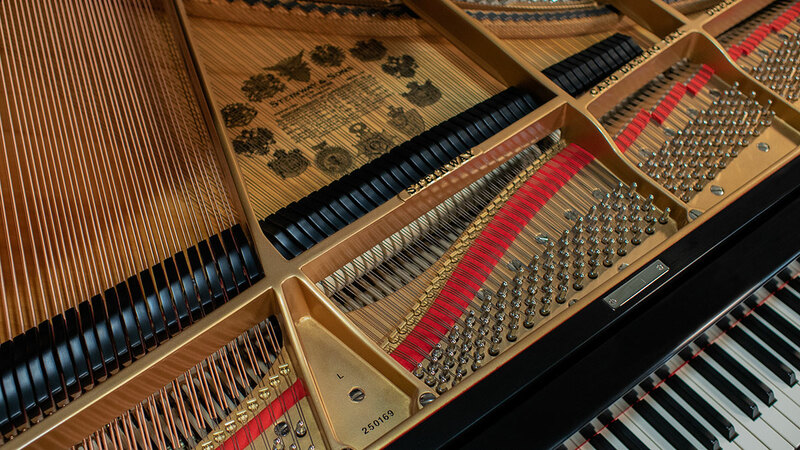 This piano has been gone through inside and out having been refinished and restrung with new pinblock. 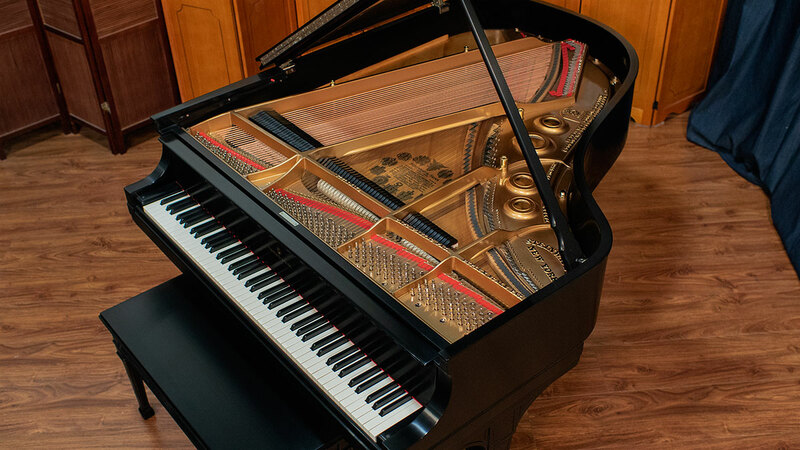 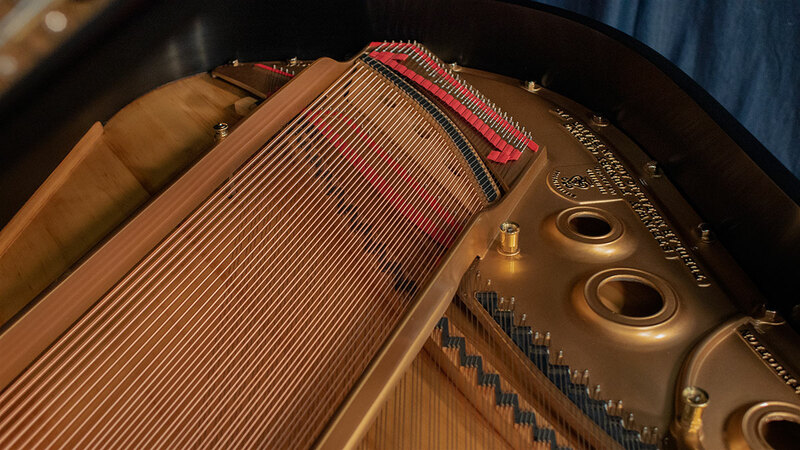 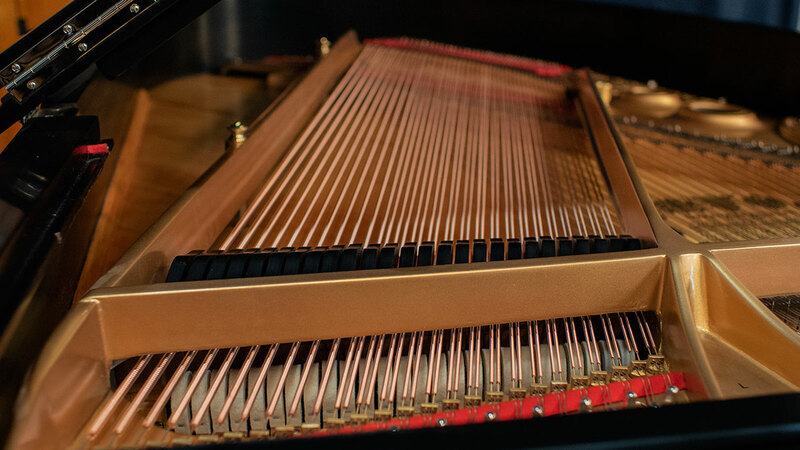 The original soundboard has been refinished while retaining excellent crown allowing the piano to achieve maximum projection with a wide range of tonal colors. 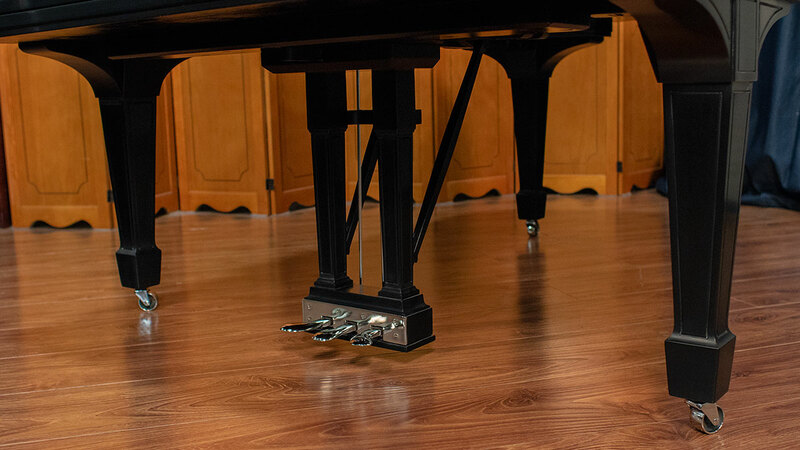 The piano has a new set of German Abel hammers as well as new shanks and flanges as well as new keytops and bushings. 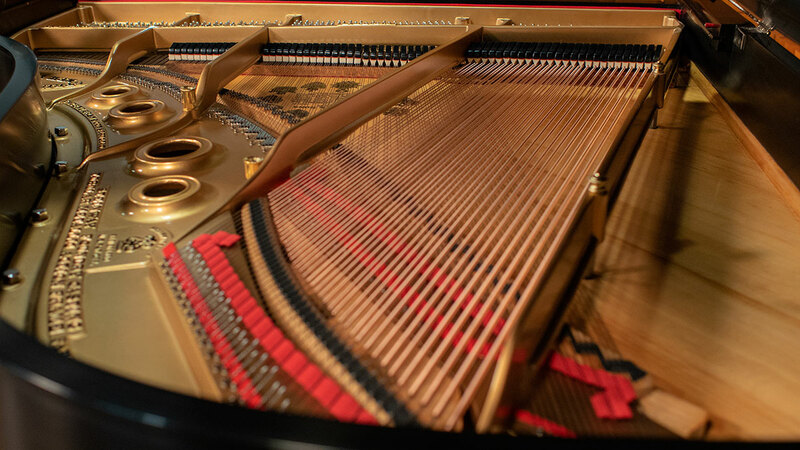 The piano glistens like new! 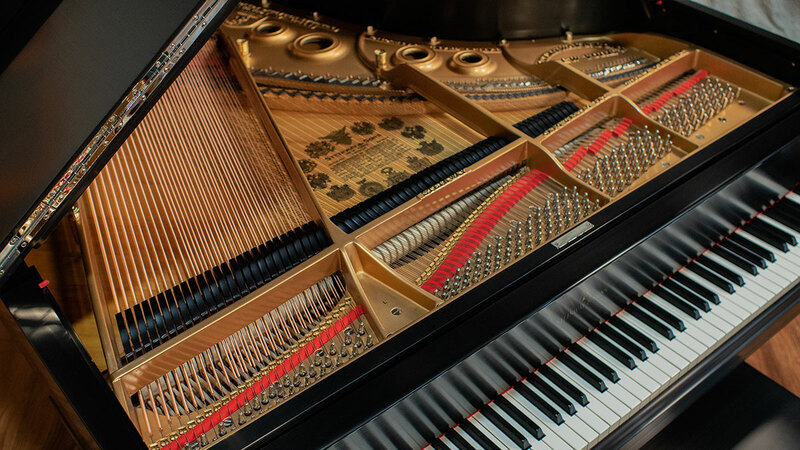 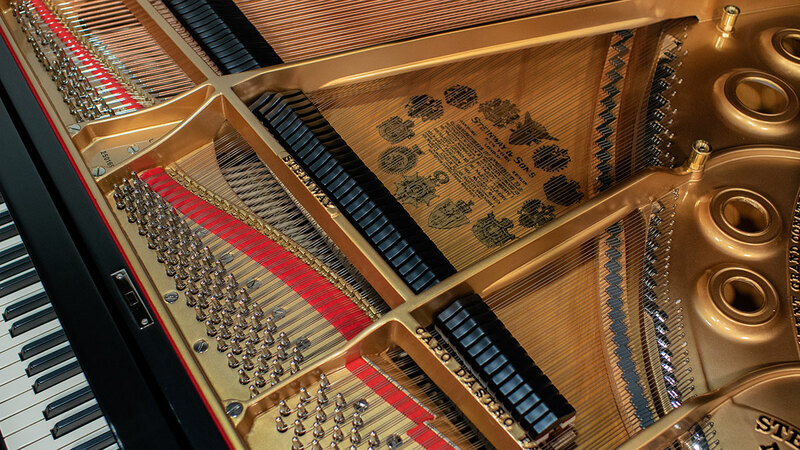 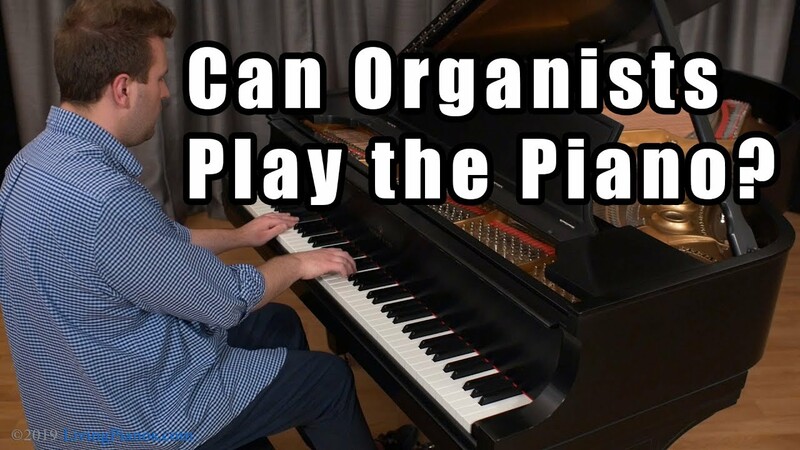 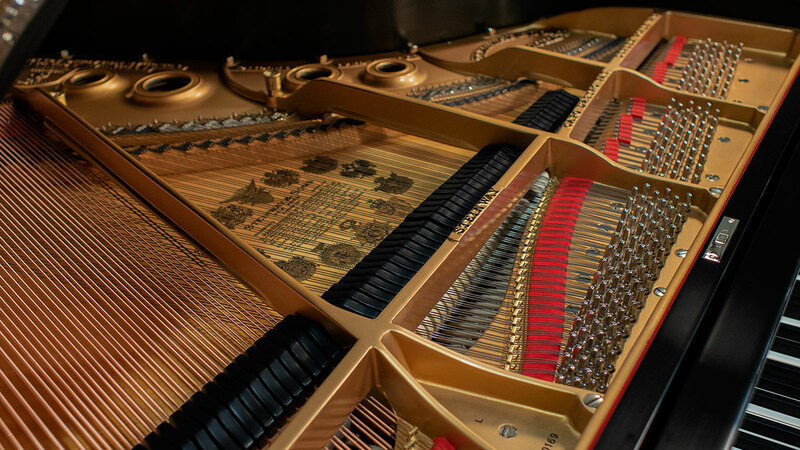 Our technicians have voiced and regulated the piano to satisfy concert level players. 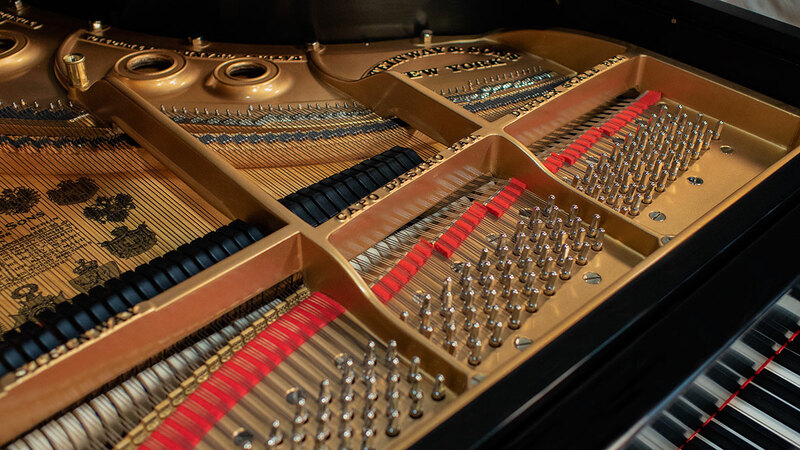 The piano has a warm, projecting tone that is vibrant in all registers. 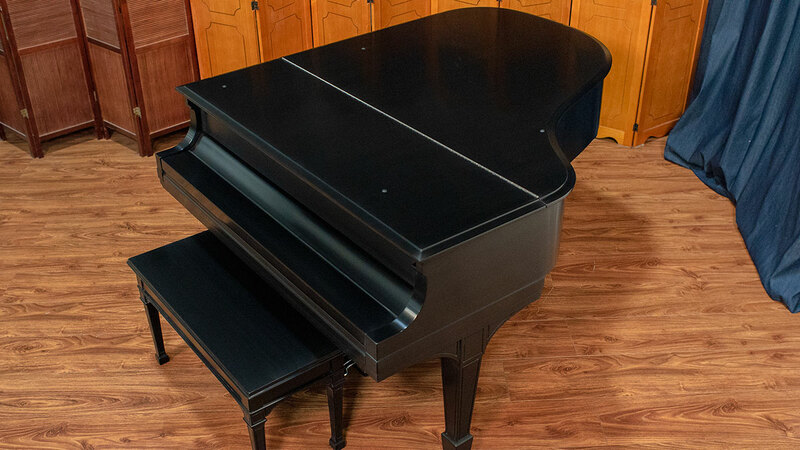 This piano has the mark of a truly excellent piano – exceptional sustain in the treble section. 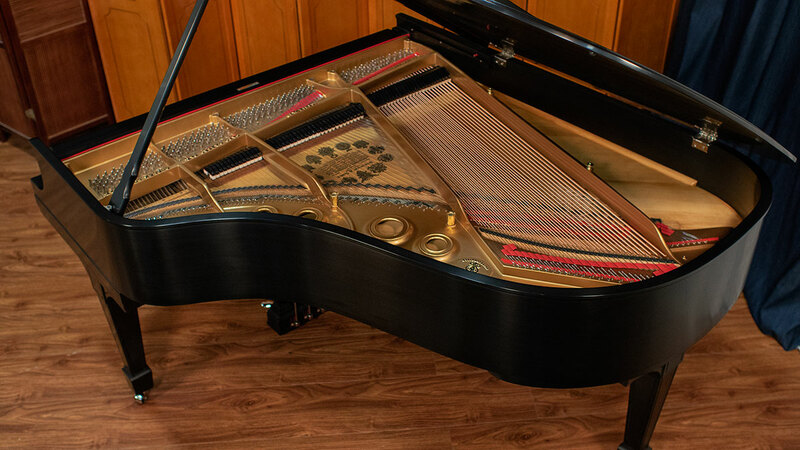 The original matching Steinway bench is included which is a testament to the gentle life this instrument has had since benches don’t last as long as pianos. 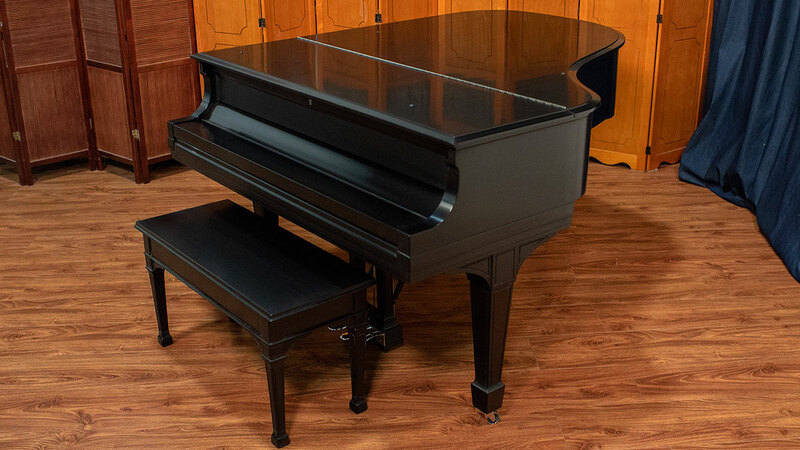 This piano is sure to satisfy the needs of even the most discerning pianists and with the right care will be around for generations to come. 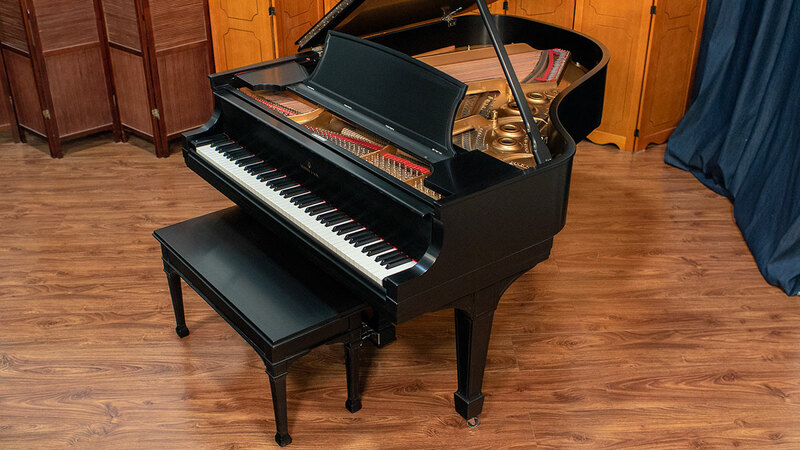 If you have ever dreamed of owning a Steinway, here is a gem available for you right now.